Many people are under the impression that big-name poker players tend to restrict themselves to their favourite game. However, history shows that this is not the case. While poker is really the only casino game in which the player has the advantage since they are playing against other players rather than against the house, poker players, by their very nature, are keen to take risks. That has led to some of the biggest names in poker trying their hand at all kinds of table games from craps to blackjack. Poker and other casino games are more accessible to the masses these days thanks to the internet. Those who would never have set foot in a real-world casino can simply go online to discover a range of options that they would never have considered before. On sites like 888casino games range from the familiar to the unusual, and there’s something to tempt every player. It’s no wonder then that so many players who considered themselves to be all about poker find themselves drawn into a host of other gaming experiences. One of the most famous cases to have hit the headlines in recent years involves one of the best-known poker players of today, Phil Ivey, who lost a case against the UK’s oldest casino after winning almost £8 million in a game of punto banco. Punto Banco, for those who don’t know, is a form of the popular game of baccarat with an outcome that depends purely on chance. According to information found on Baccarat.net, Punto Banco was invented during the 1950s and is the most popular form of baccarat played on the Vegas Strip today. 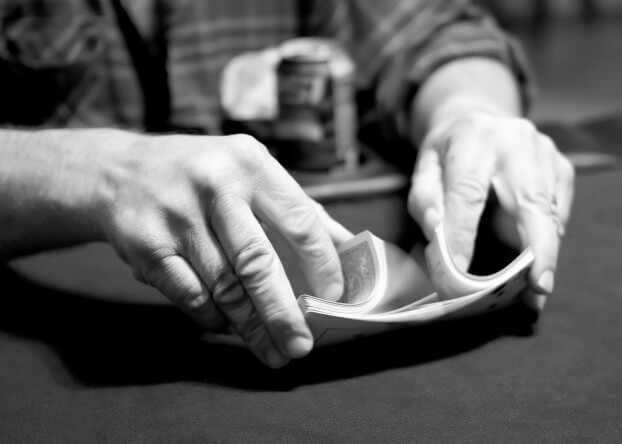 It is very different from poker, in which the outcome is in the player’s own hands. The poker star, who has been given the nickname “The Tiger Woods of Poker” was accused of exploiting flaws in the design of the deck of cards. While Ivey insisted that nothing, he did during the game was illegal, the Mayfair Crockfords Club refused to pay out his winnings. Although he took them to the High Court, the case was eventually found against him. The cards were found to have been flawed due to a mistake in the cutting process which resulted in a non-symmetrical geometric pattern on their reverse side. While an untrained eye would not have been able to spot this error, to Ivey’s highly skilled and experienced eye, the noticeable difference meant that he could use the system called “playing the turn”. With today’s modern surveillance equipment, however, Ivey’s move away from the poker table didn’t pay off, and he never received his money. Of course, not every poker player who has tried their hand at the other tables have been cheating. However, there does seem to have been a trend in that direction. That may explain which Archie Karas lost his fortune in casinos. One of gambling’s legendary figures, Karas began his gambling career with only a handful of dollars, however over less than three years he managed to accrue a fortune worth $50 million. Unfortunately, it all went horribly wrong. By the time Karas headed to Vegas he had already embarked on his career as a poker player, but he honed his skill on the Strip’s gaming tables, having procured a loan in the amount of $10,000 to add to the $50 in his pocket. His skill led to him trebling his winnings – a move which led him to embark on “the run” – gambling history’s longest winning streak. At first, Karas focused on his game of choice – poker – beating Doyle Brunson, Stu Ungar and Johnny Moss as well as another big-name player of the day. However, with few players left who were willing to take him on, his search for action led him away from the poker table and towards craps. Craps is a very different game to poker, being all about luck rather than skill. Yet Karas still continued his winning streak, playing for $100,000 per roll and winning millions of dollars every day until his bankroll reached $40 million. Unfortunately, the situation couldn’t continue forever. Over the course of just three weeks, Karas saw almost his entire fortune frittered away – losing $11 million at the craps table and another $17 million while playing baccarat. Although these losses slowed him down a little, he couldn’t give up playing for money completely. In his quest to recoup his losses he ended up marking cards, getting caught and being added to the “black book” of Nevada – a fate which earned him a lifetime ban from every one of the state’s gaming establishments. For poker players who are keen to branch out and try other games in the casino, it makes sense to choose the right options. Lots of casino games have a bigger house edge, so knowing which games have better odds for players is key to success. For example, craps, as long as you follow the optimal strategy, has a lower house edge, as does blackjack as long as you optimise your strategy. The games with the biggest house edge include those perennial favourites, roulette and slots, and while these games are a lot of fun, skilled poker players are going to make more money if they stick to what they know!